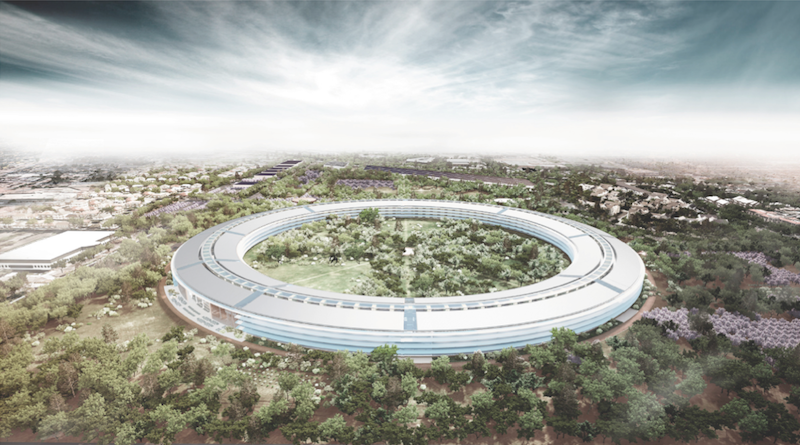 The City of Cupertino has revealed more details and renderings regarding Apple's plans to build a 2.8 million square-foot spaceship-like circular office building in the city. The city is currently in the midst of its review process of Apple's plans. The first step of the review involves an environmental impact assessment that will evaluate traffic, noise, air quality and will provide the public with an opportunity for comment. Apple's proposal would then undergo a development review and public hearings at the Planning Commission and the City Council. According to the company's plans, the four-story structure, dubbed "Apple Campus 2," would comprise approximately 2.8 million square feet. A Corporate Auditorium on the campus would seat 1,000 people, while new Research Facilities would take up 300,000 square feet. Apple's objectives for the project are to "maximize efficiency and convenience" to its employees, create a "distinctive and inspiring 21st Century workplace," and "exceed economic social and environmental sustainability goals through integrated design and development." The office space would support up to 13,000 employees. Apple is also looking to decrease its reliance on electricity provided by the city power grid by building its on-site Central Plant. 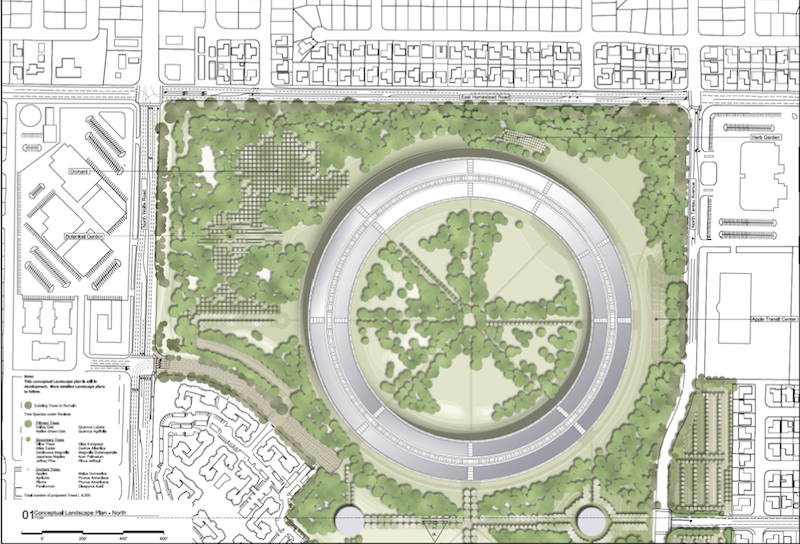 Apple CEO Steve Jobs first revealed the plans for the new campus in June at a city council meeting, describing the main office building as looking "a little like a spaceship landed." 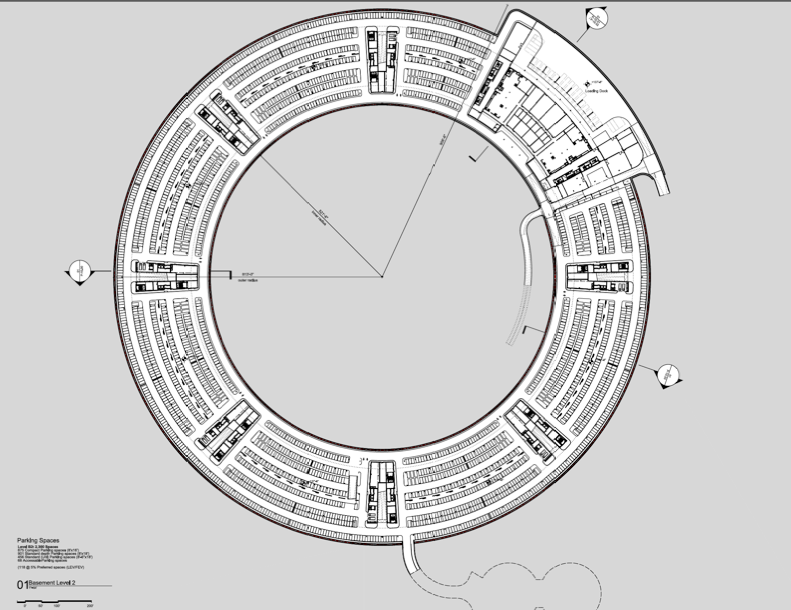 The proposed circular structure would use curved glass all the way around and may become "the best office building in the world," according to Jobs. The company lists more than a dozen permits and approvals that it is seeking for the project. Cupertino mayor Gilbert Wong has said that there is "no chance" the city council will not approve the structure. Neighboring cities have also responded positively to the project, in spite of a history of disagreements over major construction undertakings near the borders of Cupertino, Sunnyvale and Santa Clara. 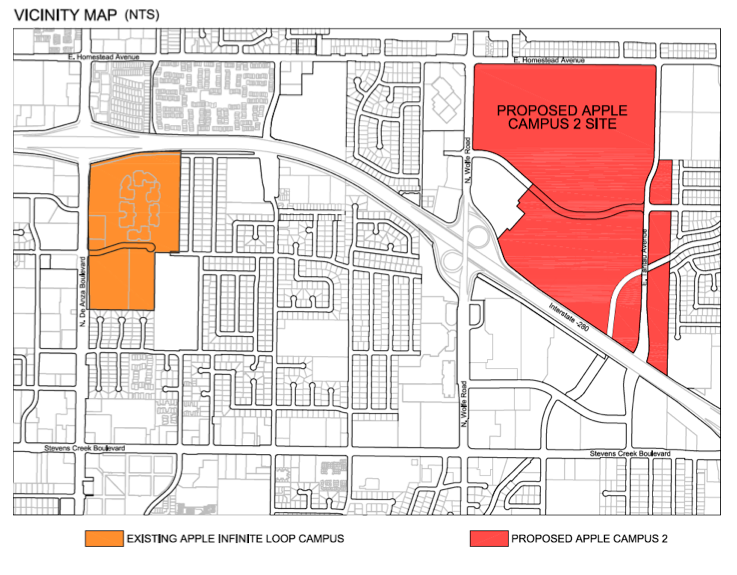 The proposed site for the facility is a 150 acre property that Apple has pieced together, recently purchasing a large chunk of the future campus from Hewlett Packard. Apple last month reportedly leased 373,000 square feet of office space in Cupertino to house 1,300 of its workers while it awaits completion of its new campus in 2015. The company's recent growth surge, led by sales of the iPhone and iPad, has left the company with cramped quarters for its burgeoning staff. According to Jobs, Apple has had to rent buildings "at an ever greater radius" from its current headquarters at One Infinite Loop, which hold roughly 2,600 employees. Apple may in fact outgrow the proposed facility by the time it is completed, as the company already has 12,000 employees in the area.